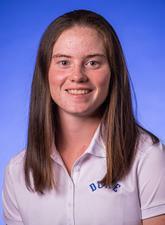 DURHAM, North Carolina – For only the second time in Duke University women’s golf history, a Blue Devil has received Academic All-America first team recognition. Third-year student Leona Maguire from Ireland was selected by a vote by the College Sports Information Directors of America (CoSIDA) announced Thursday. The honour comes a day after earning her second ANNIKA Award as the National Player of the Year for the 2016-17 campaign. Maguire joins only Amanda Blumenherst as the other Academic All-America first team selection as she was honored in 2007, 2008 and 2009. Maguire, who hails from Cavan, Ireland, received both the WGCA and ANNIKA Award as the National Player of the Year in 2016-17, after collecting one of the best seasons in NCAA golf history. She totaled the second-lowest stroke average in NCAA action with a 70.29 ledger, while collecting three victories. 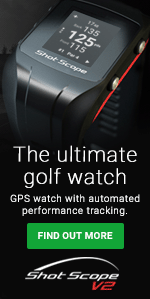 The stroke average was the lowest since Lorena Ochoa totaled a 70.13 mark in 2002. Over 10 events in 2016-17, Maguire registered eight top five placements, nine rounds in the 60s and 21 rounds of even or under par. She finished no lower than tied sixth over the course of the season. Maguire won the ACC Individual Championship, while helping the Blue Devils claim Duke's 20th ACC title in school history. She finished runner-up at the NCAA Championship, won the LSU Tiger Golf Classic and the Northrop Grumman Regional Challenge. Maguire also placed tied sixth at the NCAA Albuquerque Regional. Maguire, who is majoring in psychology, holds a 3.934 grade-point average and was selected to the Dean’s List at Duke in each of her first six semesters. She is a two-time All-ACC Academic Team honoree and a two-time ACC Honor Roll recipient.